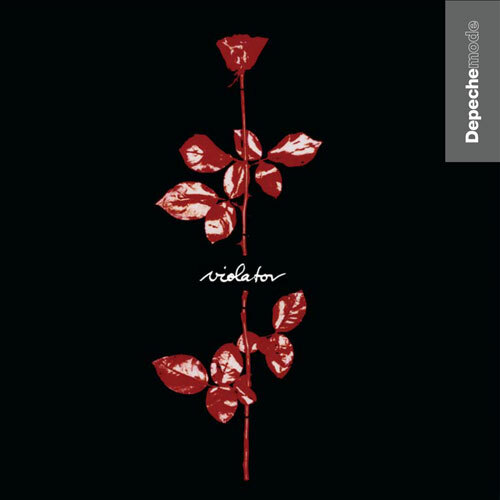 Violator is the seventh album of the English electronic act Depeche Mode. Released on March 19th, 1990, it features some of their best known singles, "Personal Jesus" and "Enjoy The Silence". Lead songwriter Martin Gore would usually record demos before the band would go into the studio to work on the final product. Of these tracks, only Enjoy The Silence, Memphisto, Sibeling and Interlude No. 3 are currently in circulation and easily found online. Though not on this tape, demo versions of Sweetest Perfection and Clean were officially released with the 2009 Sounds Of The Universe box set. Enjoy The Silence notably started as a slow ballad, but at the insistence of Alan Wilder, it was eventually re-worked into the up-tempo version that eventually ended up on the album. The "Harmonium" mix released on some 12" singles of the song greatly resemble the original demo. Of particular note is the unreleased song Mother Me, referred to as an "Untitled Classy Track" in the above info sheet. Longtime friend and road manager of the band, Daryl Bamonte said of the track: "I remember a track called 'Mother Me, Smother Me' that I believe was recorded for Violator, but didn't make the final cut for some reason. It was a really good song, but I don't think it was even used for a b-side." 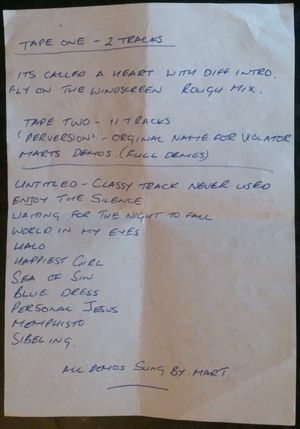 An anonymous ex-label employee provided the Depeche Mode Live Wiki with the lyrics to the songs featured on the tape, some of which contain notable differences. My consolation prize Why save it for a rainy day? Why save it for a rainy day?